Vivid Sydney is a bustling magical event throughout the CBD and some iconic locations. It can be very busy but be assured it is worth it as the illuminated buildings and tiny lights that adorn Sydney are truly breathtaking. 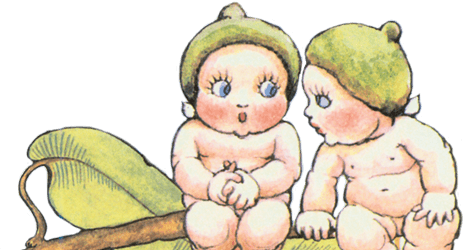 If you are planning your Vivid Sydney journey be sure to head to Customs House where you will see our favourite Gumnut Babies Snuggle Pot and Cuddle Pie dance across the entire facade of Sydney Customs House. What a wonderful way to Celebrate the 100th Anniversary of May Gibbs and her best loved Australian Bush characters. However, you need to make sure that in the hustle and bustle of the festival one of your little ones doesn’t go missing. 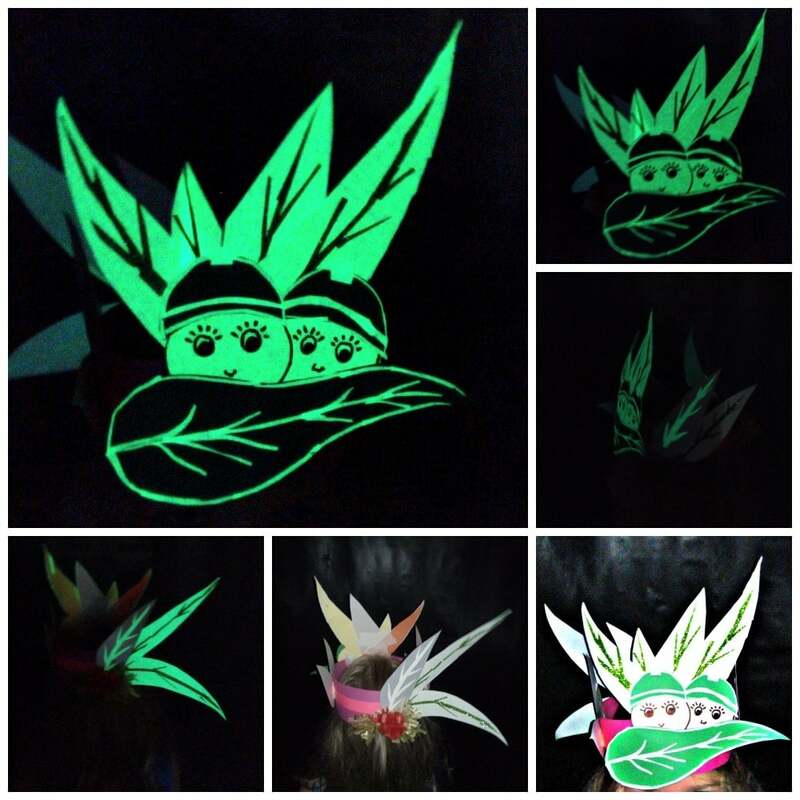 So to make sure you don’t lose anyone in the dark we have gone all out in support and Celebration of our Australian Bush Baby friends by creating our very own glow in the dark Snuggle Pot and Cuddle Pie Crowns. 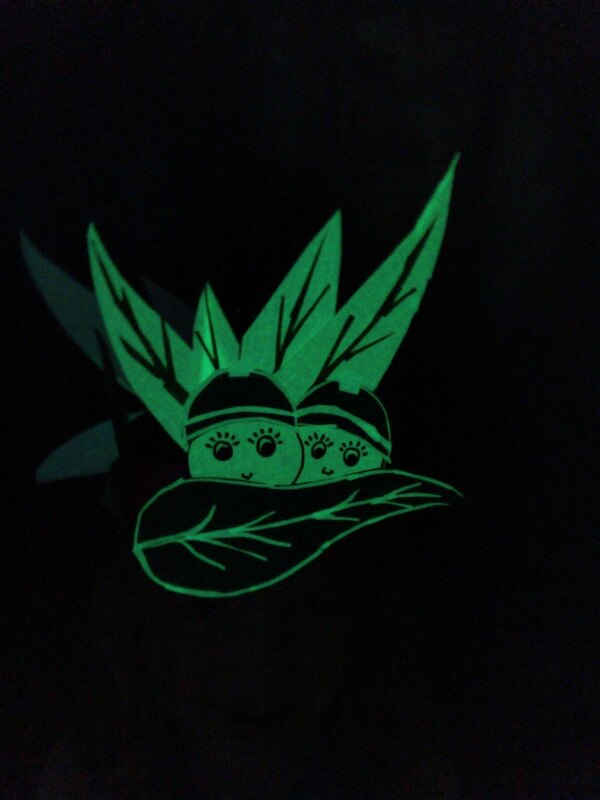 Glow in the Dark tape. 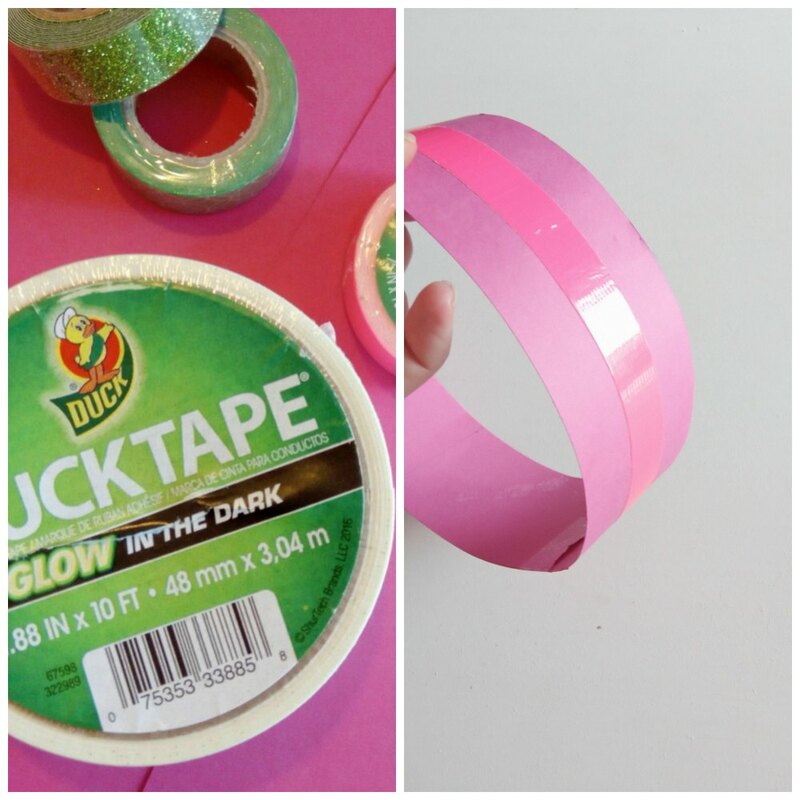 We also bought fluorescent pink tape and a green glitter tape. With many shop visits we found it all available at Officeworks. First we made a paper crown and held it with sticky tape. We then went round the whole crown in the fluorescent tape. 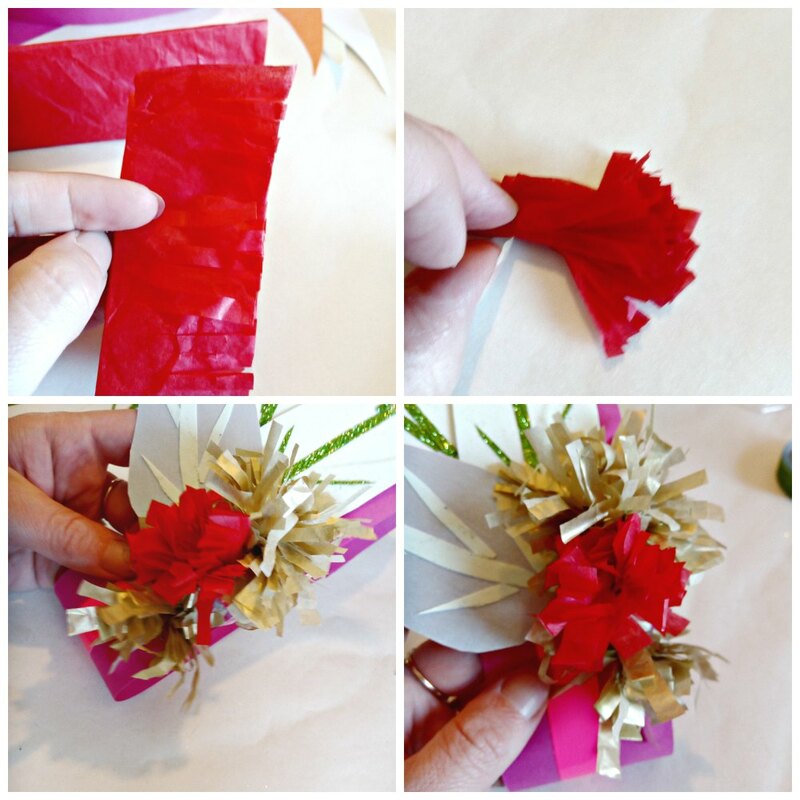 Flower blossoms are we next we made ours with red and gold tissue paper. To make we folded a piece of tissue paper about 10cm in length about six times in 4cm width folds. These made smaller ones just adjust the sizes to suit your crown. We then put little cuts in about .5cm from one edge all the way down, so one edge is frayed the other is still held together. The we rolled it up and secured it with sticky tape. We sticky taped them to crown with some leaves. We love these Bush babies we weren’t sure how they would turn out but they look so great in the dark! 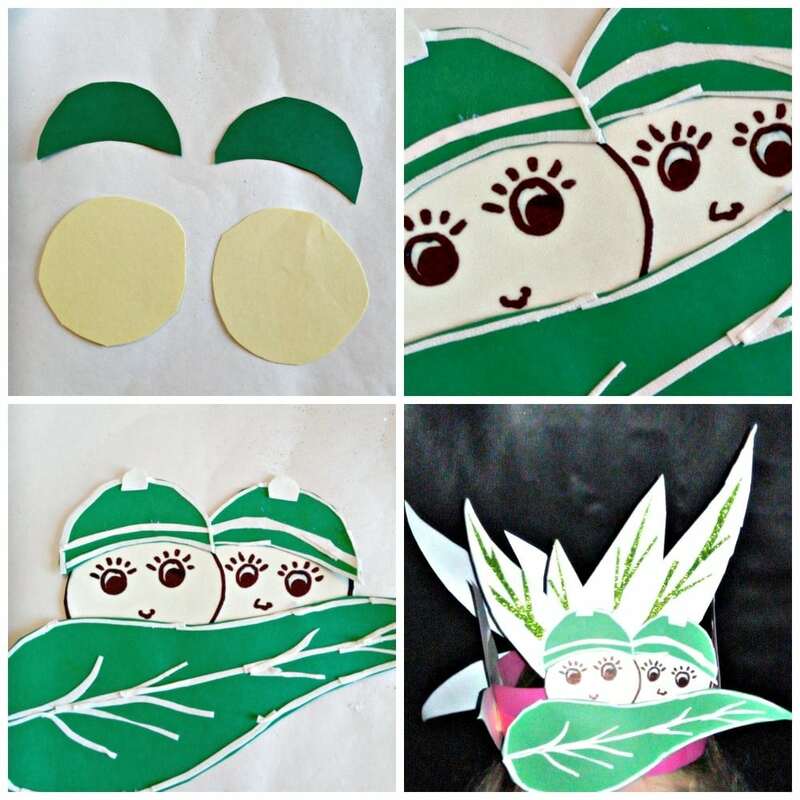 For Snugglepot and Cuddlepie we cut out circles for their faces, half circles for their caps and a big leaf from cardboard. Their faces we covered in the glow the dark tape. 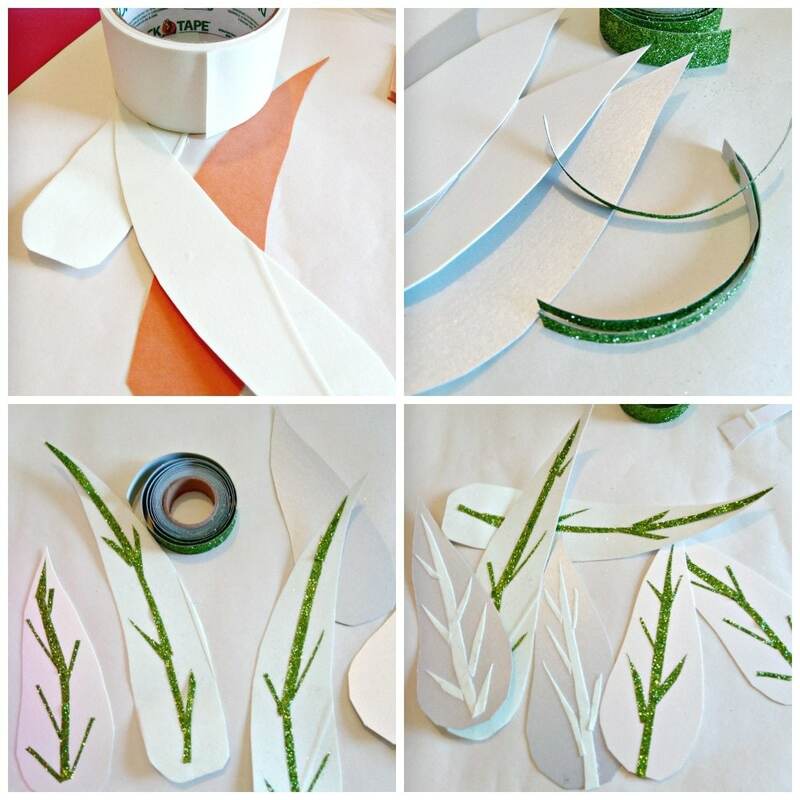 Then we outlined the other shapes with the glow in the dark tape. Then we used a black sharpie to draw on their faces. Finally we glued them together and taped them to the front of the crown with some more gum leaves. Now all you need is a trip to Sydney Vivid to show of your beautiful creation! « Raising a Little Writer – How to Inspire Writing in Kids!